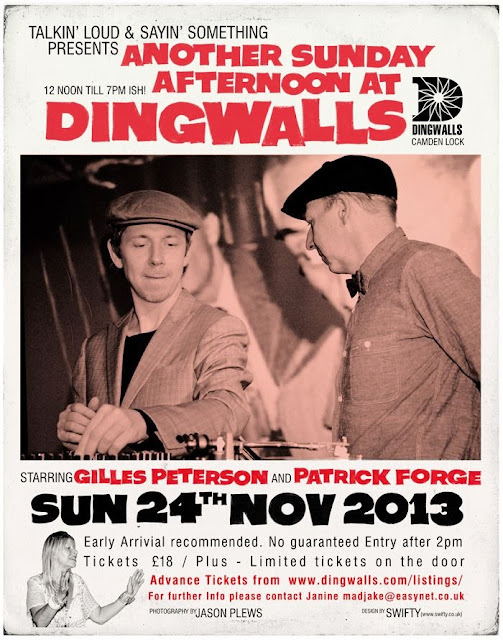 Gilles Peterson and Patrick Forge return to Dingwalls on 24th November for their annual Talkin' Loud & Sayin' Something Sunday Afternoon jazz dance reunion. Tickets go on sale from 9am on Monday 30th September. The advice is to buy as soon as possible as tickets quickly sell out in advance.